Sail Britain and a scientific team from the University of Exeter are conducting what we believe is the first study into the presence of microplastics in the inland freshwater environment of the Norfolk Broads. Microplastic pollution in the aquatic environment is one of the biggest environmental challenges out there. Microplastics are tiny particles, generally less than 1mm in size, and enter the environment from a number of sources. 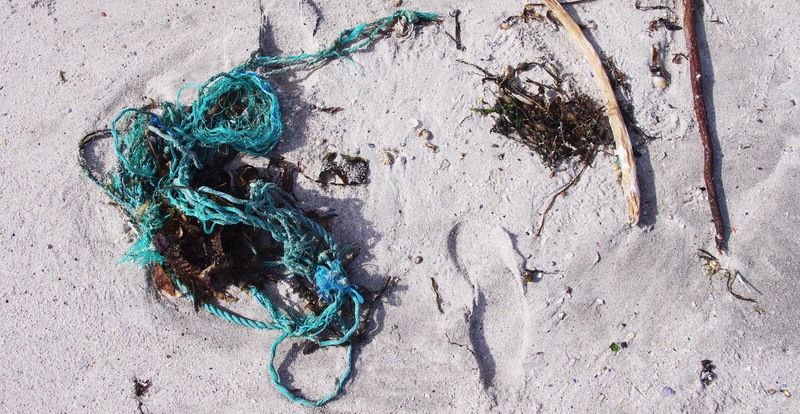 We are all sadly familiar with the sight of plastic bottles and fragments of fishing nets washed up on the beach, and the issue is therefore often thought about in an ocean environment. But where does it all come from? With the growing realisation that plastic is entering aquatic environments in ready made micro form, we need to look at the freshwater systems of rivers, lakes and drainage channels downstream from inhabited areas. Not as much research has been conducted in freshwater environments. Interestingly, the Broads are connected to the sea and do experience a small amount of tide, but the water sources are largely from inland inhabited areas. Sadly we do expect to find evidence of microplastics. We do not yet know in what concentration. It could be that the large expanse of reed beds filters the water quite effectively, or that the large amount of runoff from drains due to the flat landscape has resulted in a huge build-up of microplastics. Either is a possibility. Watch this space! Featured Project – ‘NURDkit’ by Alice Kettle is a toolkit designed to facilitate easier removal of plastic nurdles from beaches, whilst also educating and highlighting the larger issue of plastic marine waste. Due to the fact plastic does not biodegrade, large items end to fragment due to weathering, UV exposure and other processes. As they break down into smaller and smaller pieces, they enter the food chain, choking the animals which consume them. Plastic is also a very effective substrate for attracting other pollutants in the water such as PCB’s dioxins and DDT. Microplastics account for a huge surface area and can result in a toxic soup for the likes of plankton feeding animals. 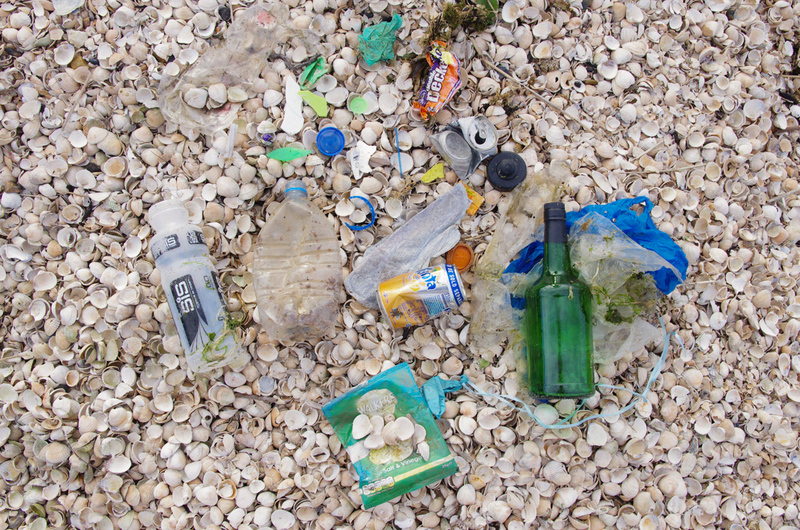 A collection of plastic and other debris collected as part of a beach cleanup on a Sail Britain trip. Plastic also enters the aquatic environment as ready made microbeads in toothpaste, face creams and cosmetics (look out for polyethylene in the ingredients, or the phrase ‘gentle microbeads’ in advertising!) and as ‘nurdles’, tiny beads of raw material used in the production of raw plastic as well as through industrial processes. As more research into the issue is conducted, it’s becoming clear that microplastics originate from a huge variety of sources. Microfibres from washing synthetic clothing are a growing concern, as is plastic dust from synthetic rubber car tyres, both of which get washed into water courses very easily and are very small and impossible to filter out.